between Kealia and Ke'e Beach at the end of the road, we will visit many picture perfect, breathtaking beaches - some of them truly off the beaten path. after this tour you will know for sure which beach you want to relax on in the days to come. the Northshore of Kauai is the side of the island that offers the most beautiful white sandy beaches. 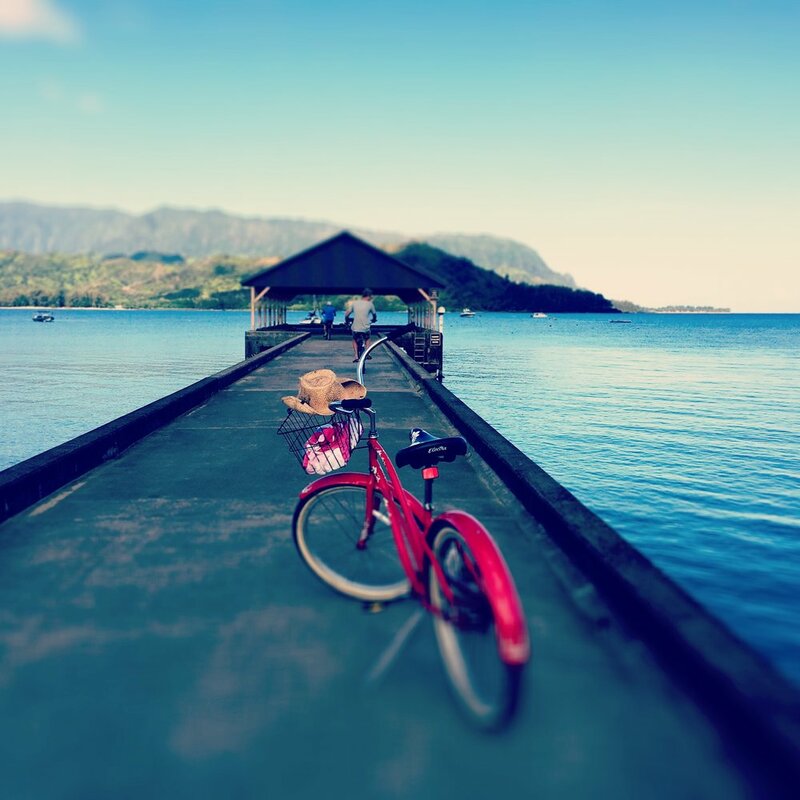 as we cruise north you get to see the Kilauea Lighthouse, the famous green Wailoli church, the town of Hanalei, the Hanalei Pier - Puff the Magic Dragon and so much more. imagine starting your day by swimming with turtles, watching a sunrise and most likely seeing the first rainbow of the day and all that before breakfast. during a long swim in the warm ocean you will feel tension melting away and you will have added a week of relaxation to your vacation. work, stress and worries simply float away for a while - making room to take a deep breath - change our perspective and therefore allow new solutions to emerge. we are not kidding - it is now a widely accepted + proven fact, that you can find answers in the most unrelated of surroundings. after our morning swim we will head to Hanalei for a delicious breakfast before we start exploring everything the North Shore of Kauai has to offer - we will visit the Waioli Church and Mission House, famous Lumahai Beach, Tunnels Beach, the wet + dry caves, Limahuli Valley, Ke'e Beach + the Na Pali Coast. we will take a short hike on the Kalalau Trail + swim at Tunnels.